The Accel Program is a non-need based grant. It is a program is for students at eligible high schools that wish to take college level coursework for credit towards both high school and college graduation requirements. Eligible students must meet certain criteria, explained below. The program is offered during the fall, winter, and spring terms of the school year. Students that meet requirements to be eligible for Accel receive an award that covers tuition. 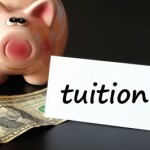 Students attending private colleges or universities receive an amount based on the number of hours of enrollment. To determine your ACCEL award amount, please review this chart. Students who attend an eligible high school that doesn’t have access to transmit transcripts electronically or participate in the GAMES Academy or the Advanced Academy of Georgia must complete the paper Accel application. Students who attend an eligible high school which has access to transmit electronically should complete the online Accel Program Application.